Today we held a minutes silence on the playground in-front of our field of poppies. 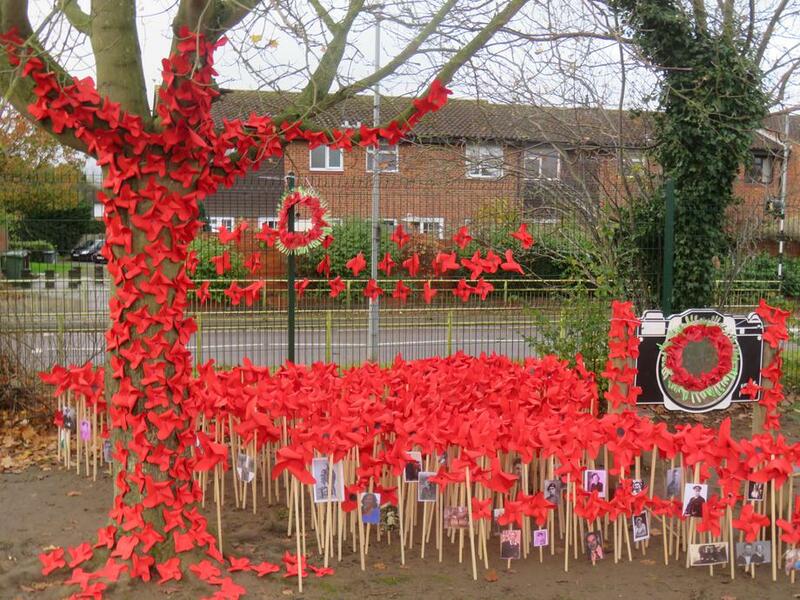 The children have been learning and talking about Remembrance Day all week, and making lots of poppies. We have had some fantastic pieces of work completed by the children across the school, some of which is on our website and class pages, please take a look. We have also had a busy sporting week with two netball matches and three football matches. We need people to volunteer a small amount of time next Saturday 18th to help at our Winter Wonderland. Please contact the school office or PTA officers if you can help.